They always say “Girl Power”, and for me, it is exceptionally prominent during that special time of the month. you would definitely agree with me. and it was only then when I found out that she actually had this same condition a few years back before I met her. Let me share what I’ve learnt with you! is found in areas outside the uterus, usually within the pelvis. it could start as early as puberty. probably only happens to older ladies. But that is sadly not the case. did not happen to her. other parts of your body other than the uterus, it would definitely cause discomfort, pain or even ulcers. It could even affect your bowels. And depending on where it went, the severity and level of discomfort would vary accordingly. and up to 40% of infertile women have endometriosis. But like what the doctor said during the talk, menstrual pain is not always a synonym of endometriosis. * You can imagine how all the ladies were freaking out as we were listening to his explanation about the condition! But good knowledge of female-related conditions and how to cope with them is important for all modern ladies, especially now where information can easily be found on the internet. There is no need to suffer in silence every single month when you’re in pain. So here are some tips from me to you for coping with discomfort during your period. Applying a little bit of heat to the stomach can help easy menstrual pain. For me, I have a cute little heat bag that helps me tide through the pain. Alternatively, you can also use a hot water bottle and wrap it in towel before putting it on your tummy. 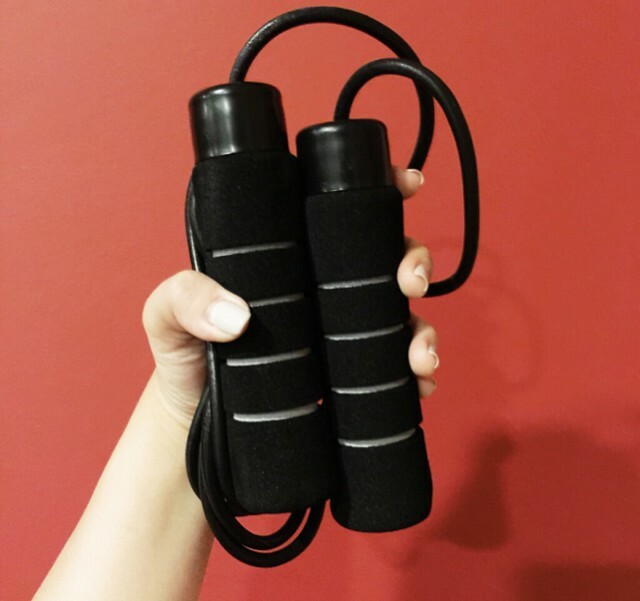 Exercise helps release endorphins and these happy hormones can help you relax and also assist in reducing pain. When the going gets too tough, turn to the pills. (eg, Ponstan and Synflex) and Arcoxia respectively. The former is effective in reducing menstrual cramps but are often associated with gastric side effects. They are a little more troublesome though because they need to be taken 2-3 times a day for effective pain relief. The latter, Arcoxia is also highly effective in reducing menstrual cramps and works the same way as the former. But this one is associated with lower risk of gastric side effects and only requires a pill a day for it to work. and it can also help you reduce that nasty menstrual pain! 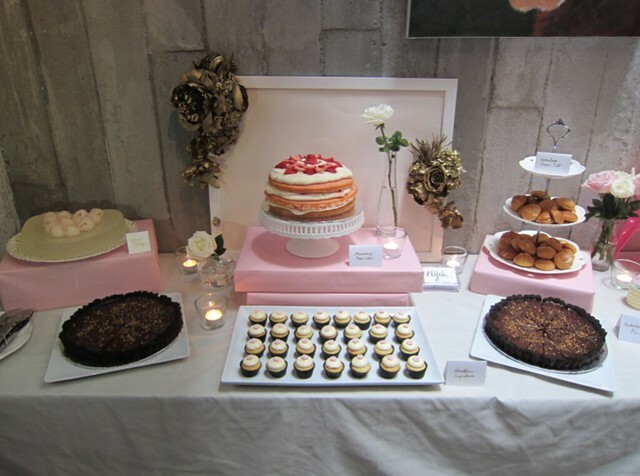 And this also reminds me of the gorgeous dessert table at the event! The organizers sure know what makes us girls happy! 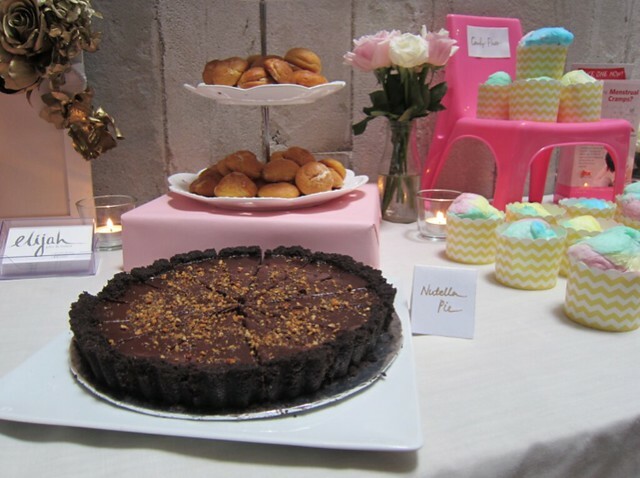 The yummy desserts were from Elijah Pies and I’m a huge huge fan of the Nutella Pie served at the event. And I’m sure some delectable sweets will keep the PMS away. Heh! Check out that pie! Salivating already lah! as well as different ways to cope with menstrual pain. talk about our pain and not treat menstruation as a taboo topic. 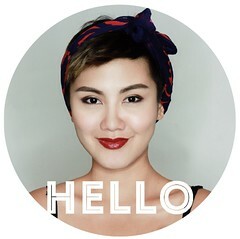 this is where you can find the Facebook Page for Endometriosis Awareness Campaign Singapore. May your periods always be happy!